Perhaps Lalibela’s biggest asset isn’t the food but the remarkable rooms in which it is served. Packed full of African objet d’art and beautiful carved furniture, it’s like eating your dinner in an Ethiopian antiques shop. Which is just as well, as on my last visit the interminable wait from ordering to receiving anything to eat meant we had a lot of time to take it all in. The food, once it finally arrived though, was largely worth the wait. Injera was light and fluffy, the various stews all packed full of interesting African spices, and the final bill very reasonable. 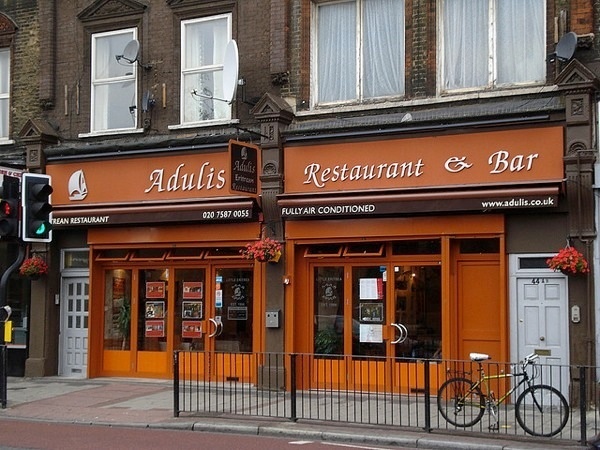 Judged on what arrives on the table alone, Adulis has plenty to boast about. The menu contains plenty of unusual dishes, even for this underappreciated style of cuisine, such as spicy fried trip or “atter”, split peas with cayenne pepper and oil. And Eritrean classics such as kwanta fit fit (shredded spiced lamb with chillies) and kitfo (minced beef cooked in ghee and paprika) are executed very well. My only issue is the price of it all – mains are a good 30% more than equivalent spots across London, and there’s nothing in the rather workaday décor or distracted service that really justifies it. A Coldharbour Lane institution, Asmara’s obliging staff and budget menu mean it’s a fantastic introduction to Eritrean cuisine. It’s also understandably popular – crowds descend early in the evening for the platters of injera and fit fit but also the coffee ceremony, where roasted beans are wafted around the room in a mini copper pan before being ground and infused. The genial owner of Zigni House, Tsige Haile, wrote one of the first Eritrean cookbooks and is apparently quite a big deal back in her homeland. So as an ambassador for her country’s cuisine, you couldn’t want any more – the food she serves is colourful, bursting with exotic East African spices, and very reasonably priced considering we’re in deepest Islington. Don’t miss a starter of “timtimo” rolls, with their thick, rich lentil paste filling. 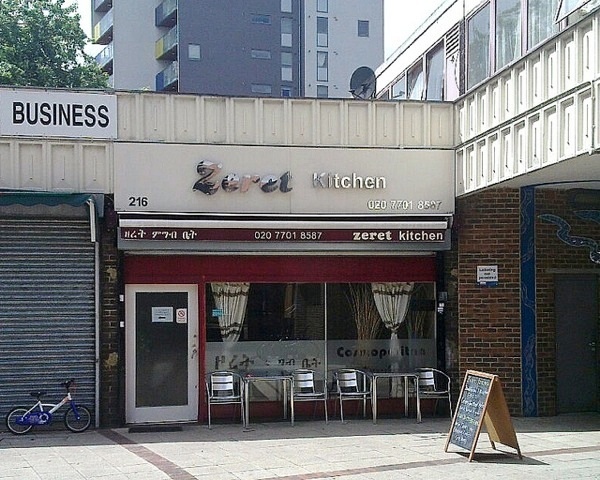 On the face of it, Zeret Kitchen aren’t doing a great deal more than many other Eritrean restaurants in London. In fact, the décor here is even more Spartan, the menu more stripped back (just one chicken dish, and a handful of others). But from the first mouthful of smoky chickpea wrapped up in soft injera, it’s very clear there is something extra special about this place. 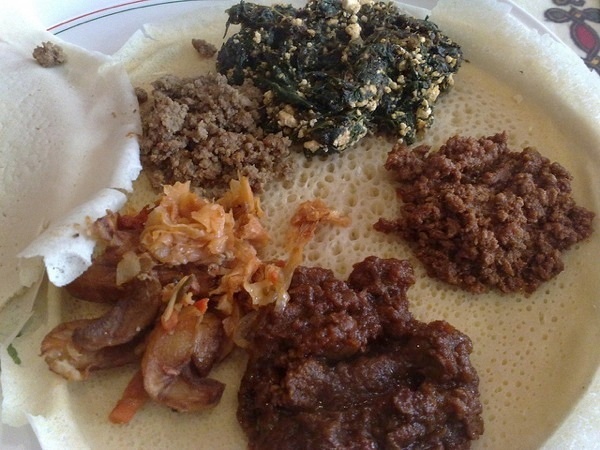 The flavours are just that more pronounced, the injera just that more balanced in terms of sour/savoury, the chunks of tender meat that much more plentiful. Match all that with friendly service and bargain basement prices, and you can see why it’s my absolute favourite African restaurant in town.